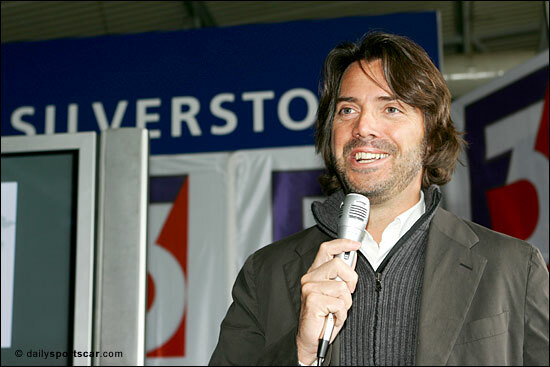 So 19 cars on track at Silverstone yesterday (March 22), up to 30 on a provisional entry list for the season – and the prospect of “26 or 27 at Oulton Park”, remarked Stephane Ratel. 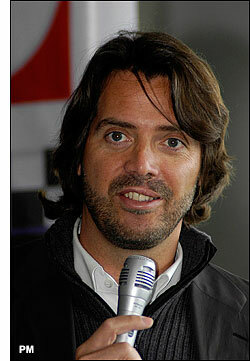 But he is not worried for the future: “We will attract more people (to GT racing)”. For 2006, the GT3s will compete directly with the GT2s: there was some confusion that the GT3s would be up against the GTCs, but that was a misunderstanding. Had that been the case, David Ashburn would have brought out his Trackspeed Porsche 997s – cars that will be otherwise engaged in the Carrera Cup. Ashburn suggested that the team would be running only 997s in 2007 anyway, so there’s one sign of GT3 growth for the future. In terms of ‘competing against himself’, perhaps that’s part of the reason for the absence of Tech 9 in the British Championship this year (competing in Europe – but Phil Hindley was hoping to run a British campaign again, and win a championship again: the absence of his team is a serious loss. Keith Ahlers pointed out that his team / car are the only survivors from the early stages of the Cup Class in 2003, now that Tech 9 is absent. Cooper Avon is certainly very keen to promote the teams and drivers – and in Luke Hines, for example, it has something very promotable! The Lotus Exiges and, when they race in Britain, the Barwell Aston Martins, will add a great deal to the meetings: the DBRS9 has a unique ‘growl’ and is a fabulous machine. With Avon, Autocar and Petrochem Carless, plus the better use of UK circuits, plus 26-27 cars at Oulton Park, the Avon Tyres British GT Championship could be on the verge of something significant. The Avon tyres were the subject of much debate at the media day: the Porsches certainly seem to have ‘found’ a very useable Avon tyre, while the company is making very rapid progress with tyres for other makes. Cars looking to find a baseline yesterday on Dunlops, particularly GTC cars, were quicker on the 2005 tyres, but Avon is pulling out all the stops to come up with rear tyres that suit, for example, the front-engined Morgan and the Team Tiger Mantis. More on the tyres in news items still to come.